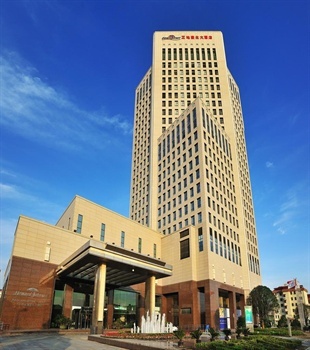 Shanghai Koyal International Hotel ideally located at North Zhang Yang Road, Pudong district, minutes away from Waigaoqiao Pilot Free Trade Zone. Go straight along Zhang Yang Road and through Fu Xing Road Tunnel, easier access to Downtown Pudong and even Puxi. 301 elegantly designed guestrooms including 44 executive suites and 1 presidential suite have classic décor with exquisite art pieces. With complimentary high speed internet in all guest rooms, you can easily stay connected to what is important to you. Shanghai Koyal International Hotel Club Floor guest rooms offer upgraded amenities and complimentary access to the Koyal Club Lounge, features exclusive service and benefits for the guests. K-Café is an elegant all-day dining restaurant offering an extensive international buffet and á la carte service for breakfast and lunch. For dinner, dine in style with our special á la carte menu, offering international favorites. Ho Yuet Restaurant specializes in an array of Cantonese mouth watering delicacies prepared by our famous chef’s in a comfortable modern design setting. Intimate private rooms available for parties of four or more for any special celebration! Our comprehensive function space with total 920 square meters plus a team of experience events and banquet specialists is a great choice when you are planning a conference, a corporate gathering or a fantastic wedding. Our versatile and flexible breakout rooms are equipped with High Speed internet access, advanced audiovisual presentation facilities, professional sound and lighting systems. The Gaoqiao Park and Binjiang Forest Park nearby Shanghai Koyal International Hotel are the best venue selection for wedding photo shooting and team building. In addition, SPA, Swimming Pool, Gym, Chess rooms for all guests and make them a unique and wonderful holiday journey!